Time to think about a way to get your business name noticed everyday. Calendars are a available with a large variety of sizes, uses, subjects and prices. We can even use your photos to create custom calendars in volume. Think of the calendars you see on walls, desks, offices and other places you visit during a typical day. With your logo and information, your name can be seen over and over again. Some have magnet backs, some sticky back to put in a car or on the edge of a computer. There are stick on and magnet calendars that can be mailed in a holiday card. Some have peel off area for your business card. 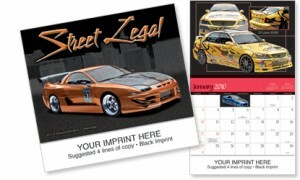 Now is the time to order your calendars to hand out to customers and potential clients. Order your calendars today! www.thankem.com 877-351-2627.